Early this week a beautiful package arrived from HolyWoly. In there: Malabrigo worsted in Applegreen and Malabrigo sock in Eggplant. What a beautiful colours, it makes me really happy looking at them. The colours are one of the best features of Malabrigo. The applegreen is a bit brighter than on this picture, it’s almost limegreen. I love it. When knitting Citron I’ve rediscovered what a beautiful yarns this company makes. I found the Malabrigo lace very nice to work with, I am looking forward to feeling it in my hands again. I have more in my stash, just looking for the perfect (and not too difficult) pattern. I am really happy with this colour. It is a grey with a purple glow, really special. 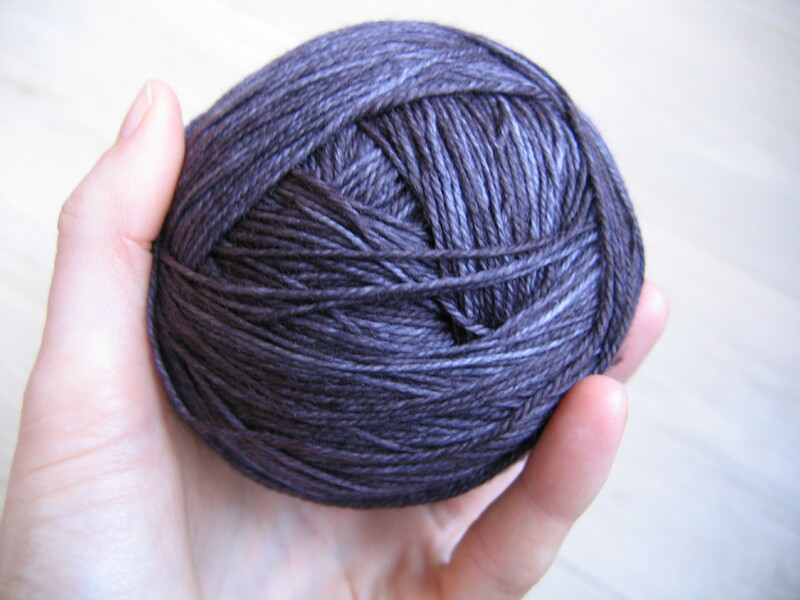 I was planning to start Ripley as soon as my package arrived, but when it did I immediately started Damson. Citron has really made me want to knit more shawls (it seems the last two frustrating repeats have already been forgotten). Damson is not going so quickly as Citron. I had to rip out a few times because my row of yo’s didn’t line up. I am now working without the stitchmarkers, that goes a lot better, they are too big for my needles and were only getting in the way. I also find the Malabrigo sock less easy to work with as their lace yarn. This yarn has nylon in it, to make it stronger, and that makes the yarn slippery. It is also a tiny bit splitty, and it doesn’t feel as nice as the lace yarn. 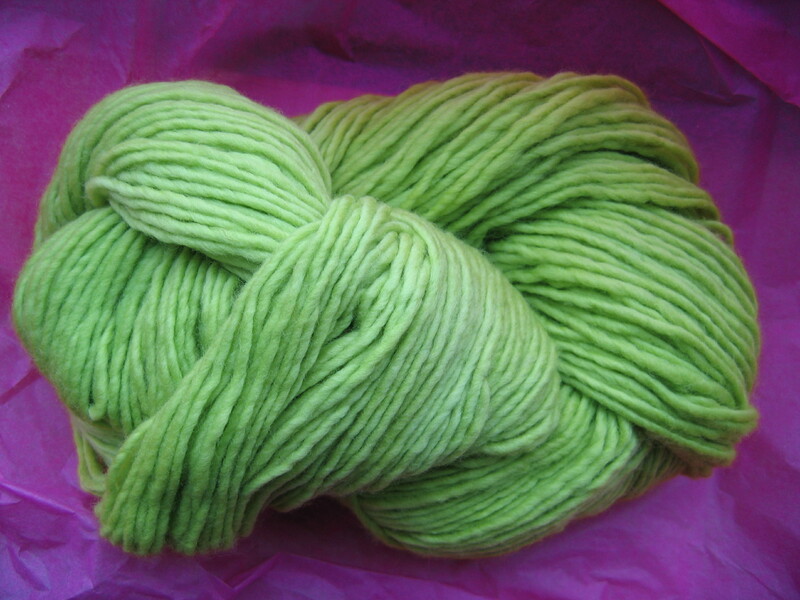 It is a totally different yarn of course, it is plied and meant to be used for socks. 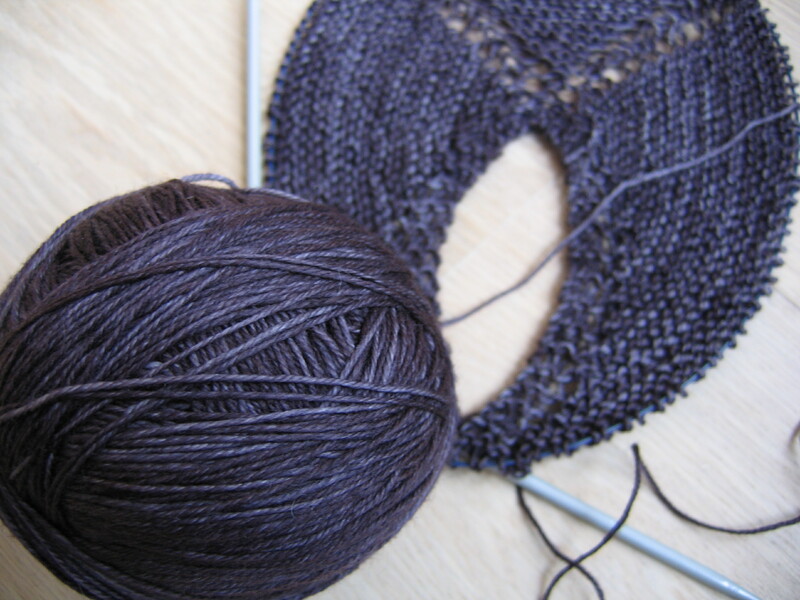 I find the lace weight better for shawls, if I am ever going to design a shawl, I’ll choose the lace weight. But let’s not complain too much, I love the colour and Damson is looking real nice already. I love the look of the garter stitch in this dark yarn. This entry was posted in in progress, yarn. Bookmark the permalink.